Brothers Philip and Lin and their wives Diane and Jennifer just arrived in Germany to begin their two week adventure in Germany and Austria. This is the first time in the heart of Europe for the two couples. 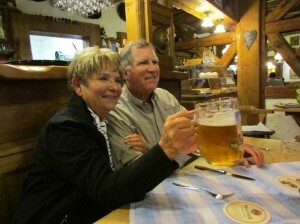 We started with Germany’s best-preserved medieval town, Rothenburg ob der Tauber, where by coincidence their first night in Europe was also the first night of the special Oktoberfest celebration at our favorite restaurant in Rothenburg, the Alter Keller, where fresh beer from the Paulaner brewery in Munich was on tap along with traditional specialties such as pork shoulder, smoked ham, roasted duck and chicken, sauerbraten and of course, schnitzel. Prosit! 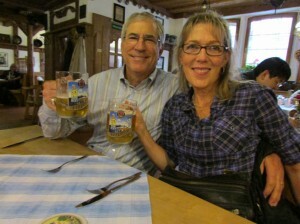 On a beautiful Saturday afternoon we visited Schloss Weikersheim near Rothenburg. The castle was ‘mothballed’ in 1749 after the last male in the family died without an heir. 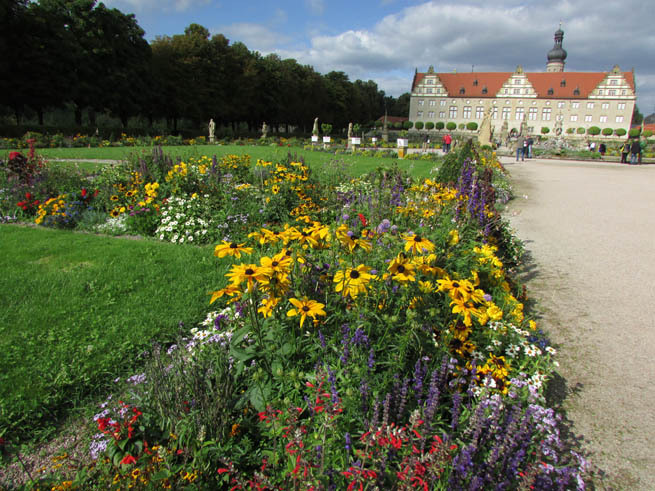 The castle was sold to the state of Baden-Württemberg 250 years later and has been a museum since then. The gardens are some of the most beautiful in this part of Germany. 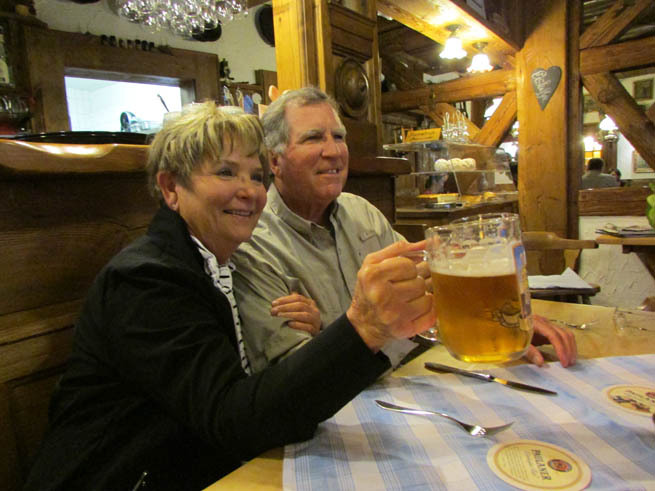 Posted in Germany Tours and tagged alter, beer, custom, designed, germany, guide, in, keller, oktoberfest, paulaner, private, prosit, rothenburg, tours, weikersheim.